With September fast approaching and the thought of TomorrowWorld being one day closer for most people, its hard to contain my excitement for anything TomorrowWorld related. Thinking about being back in Atlanta at Chattahoochee Hills, surrounded by a beautiful mix of individuals from all over the world who all share one common thing – the love of EDM excites me to my core! 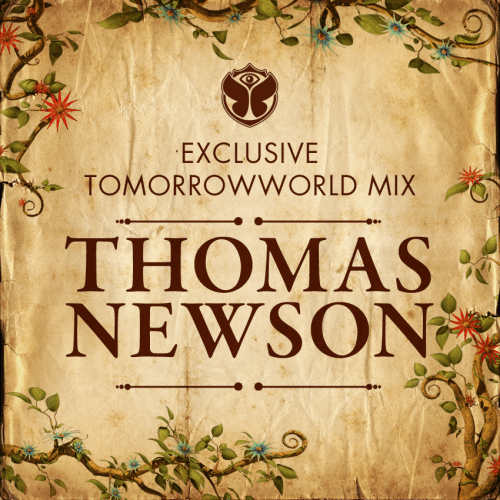 So it should come to no surprise that when Thomas Newson released an exclusive TW mix to help get us prepped for all the dancing that we will be listening to I had to download it immediately. After having it play on my speakers for longer than a week I can tell you one thing – TomorrowWorld 2015 is going to an amazing time. I wasn’t sure if listening to an exclusive mix would get me any more in the mood for the festival but it has. Whether I listen to it all the way through or just start and stop it at some certain point, I still find myself dancing and unable to hold still, ready to be dancing under all of those lights! Of course, its kind of hard not to get pumped when the mix starts off with a perfect mix of Oliver Heldens – Shades of Grey. And if you think that you are just going to tune out right after that, Thomas pulls you in by the addicting sounds of Jauz & Ephward – Rock the Party. I’m not sure why, but whenever I hear Jauz I imagine that its what alien music sounds like. Aliens partying around the world listening to that infectious robotic wobble noise that only he has brought to the spotlight this summer. I cannot wait to see him live some day but I have a feeling that even though he isn’t playing at TW, that we will be hearing those wobbles at every stage! I normally tune straight in to listen to BURNS – Make it Clap just because listening to that song almost automatically guarantees that I will start dancing around and getting a smile on my face. The entire mix is amazing though and has tracks from HI-LO, Carlos Jimenez, Maza, Chuckie, Bassjackers, Bobby Puma and of course Thomas Newson. At only an hour long, by the end of listening to the entire mix you are going to be wishing there was at least hours more and you were in Atlanta already…. But no worries! 3 day passes and single day passes are still available but take my advice when I say waiting to the last minute isn’t a good idea for this festival. Head over to TomorrowWorld's website to grab your tickets today for a chance to listen to amazing music like this with people of the world who all want to do exactly what you want to do – celebrate music.